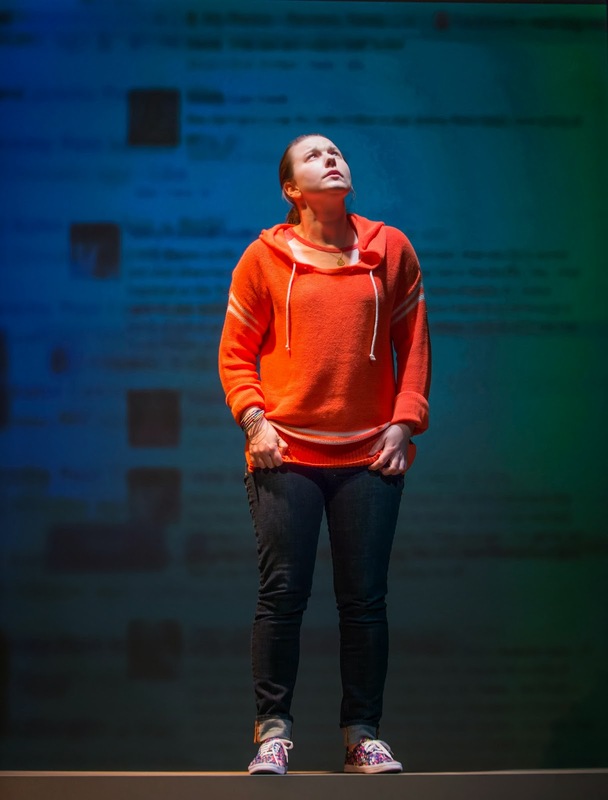 These are exciting times for San Francisco Playhouse. When co-founders Bill English and Susi Damilano jumped into a larger new home with more seats to fill, it took a leap of faith on everyone's part. The bar and lobby are bigger. The stage is bigger. 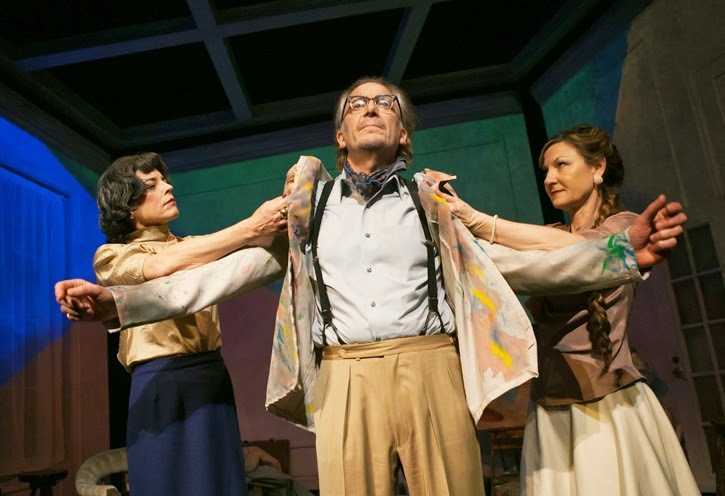 The welcome result is that SFP productions now seem to carry more artistic weight, and artistic weight is a good thing when presenting "Bauer," a show written by Lauren Gunderson about the late German modernist painter Rudolph Bauer. The production is superb. Gunderson is a Georgia girl but she now lives in San Francisco so we can finally call her a local treasure. The topic of "Bauer" is art -- but at its center we find a touching love story. What a cast! 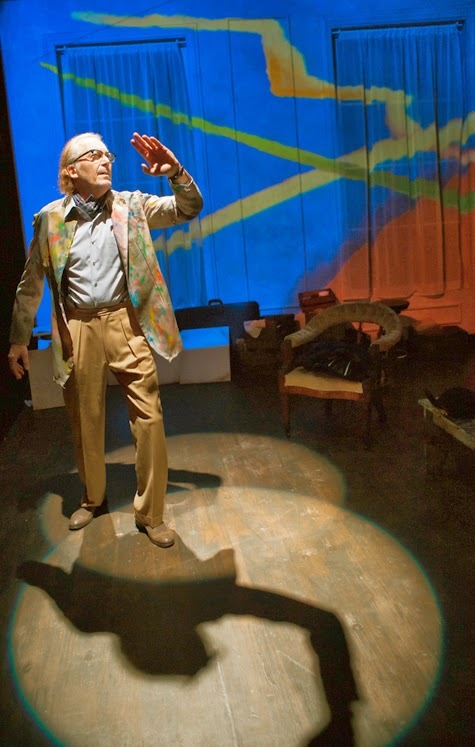 Ronald Guttman plays Rudolph Bauer, the enigmatic modernist painter whose works once occupied the same lofty plane as Kandinsky, Mondrian and Paul Klee. Bauer's paintings were responsible for Solomon Guggenheim opening his new modernist museum, partly as a home for his large Bauer collection. What happened afterwards, if we are to believe Lauren Gunderson, is almost impossible to imagine. Guttman's German-accented English is perfect, as well as his bearing as the proud painter now in decline. 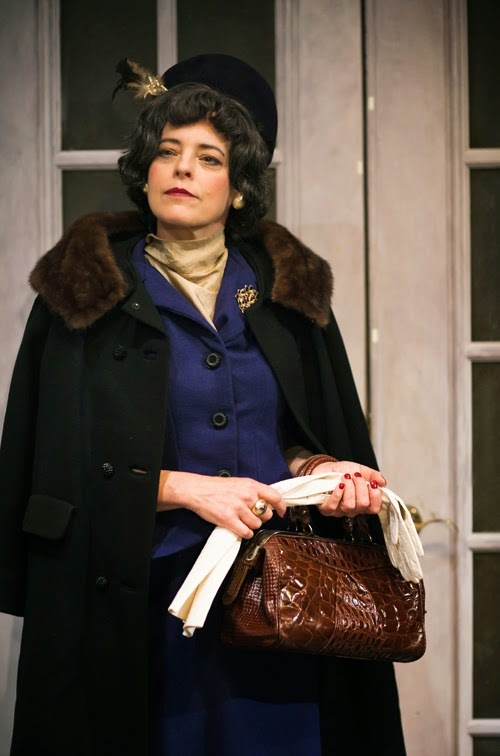 Stacy Ross plays Hilla Rebay, Bauer's long-time companion, confidant, lover and the person responsible for cementing his relationship with Solomon Guggenheim. Damilano plays Louise Bauer, the painter's one-time maid who is now his wife. Of the three roles, Damilano's is the most conflicted. Wanting the best for her seriously-ill husband, she must come to terms with the emotional connection that still crackles between her husband and his ex-lover. Lauren Gunderson is only 32 years old. How in the world can she know what an elderly Louise Bauer would say to Hilla Rebay? And yet she does. Gunderson is having a banner year in San Francisco, with possibly everything she has ever written hitting area stages at once. One of the reasons is she manages to get inside the heads of historical figures in ways that make perfect sense to her audiences. Rebay feels superior to Ms. Bauer: "Here we are. Two modernists and a maid." Louise Bauer: "Let's not fight." She says: "I miss being in charge." Each of the three actors merits no less than one star -- it is hard to pick out a favorite, though it's true that Stacy Ross gets most of the great lines. The fourth star is for Lauren Gunderson's playwriting and the BANGLE is for the innovative lighting and projections which bring Bauer's art to life on stage. 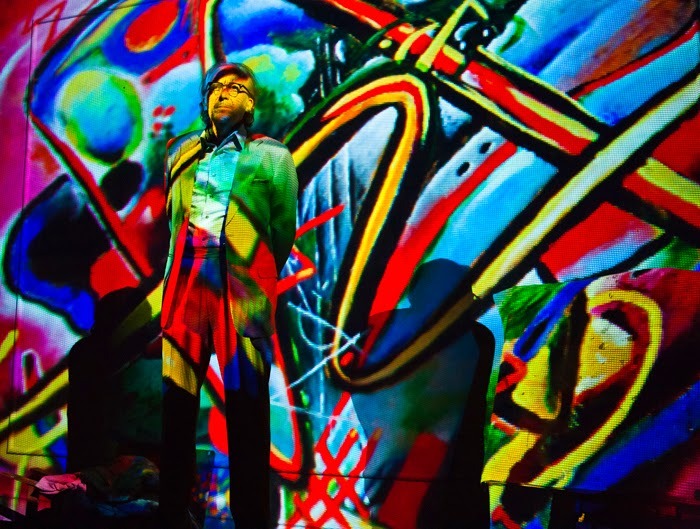 Lighting Design is by Jordan Puckett and Projection Design by Micah J. Steiglitz. Warning: There are no car crashes. All you get is great actors delivering a terrific story. They sing, they dance, they tell a story and they smile. What's not to like? 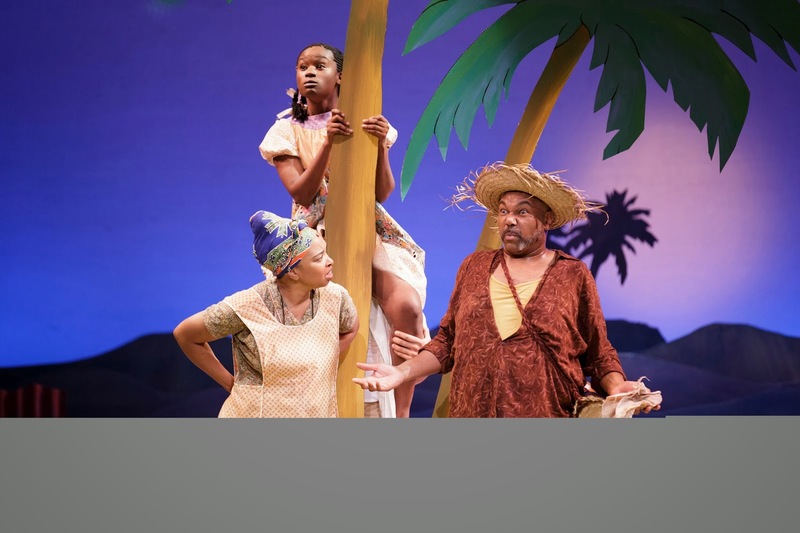 It's hard to fault the cast or the direction in Theatreworks' new setting of Lynn Ahrens and Stephen Flaherty's 1991 Tony-winning "Once on This Island." Scenic Designer Joe Ragey gives us several eye-popping scenes, including pulling out a huge blue sheet which members of the cast wave up and down to simulate the flood with which this folk tale begins. He throws in some very cool rain too, made from black umbrellas and silver tinsel. Music: live orchestra. Can't beat that. Choreography (by Gerry McIntyre, who has spent years involved with this show): also commendable, if hampered by a smaller-than-Broadway stage. 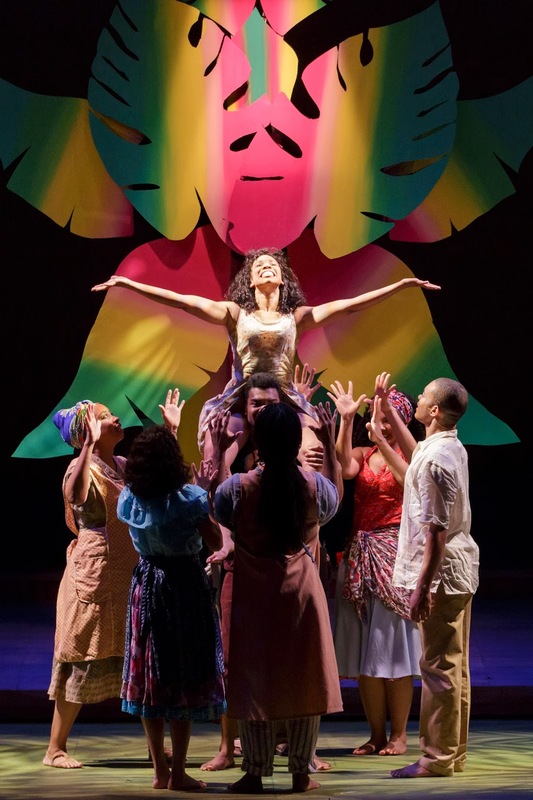 Singers: first rate, especially Safiya Fredericks as Asaka, Dawn L. Troupe as Mama Euralie and Berwick Haynes as Tonton Julian. So back to the original question: what's not to like? Nothing. The show is likeable and entertaining. But what's to love? For this reviewer, the musical form of happy islanders laughing and dancing their lives away was co-opted by Walt Disney a generation ago. The stage, bedecked in prime colors and cutouts of palm trees, looks suspiciously like The Little Mermaid, though admittedly without Disney's egregious treacle. This would be fine if the music were more interesting. 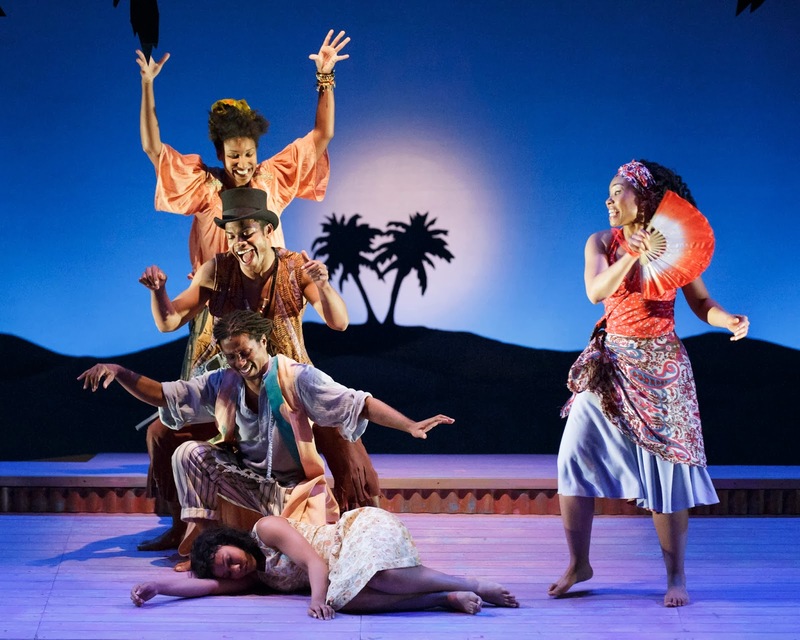 "Once on This Island" was Ahrens and Flahrety's first musical. The pair went on to write many big shows, including "Ragtime" and "Dessa Rose." Here, they miss no musical cliches: steel drums, calypso chord changes, congas and island percussion -- but beyond this there is little to grab on to. The show's most significant song is the stunning closer: "Why We Tell the Story," which is performed with pure voices only. We love that the issues of racism and wealth disparities, signified by the very first song: "Two different worlds, never meant to meet..." -- are dealt with. We particularly love how members of the black cast put on white face masks to simulate the lighter-skinned island bourgeoisie, then cast off the white faces when they want to dance and have a good time. This would give Walt Disney a sour stomach. 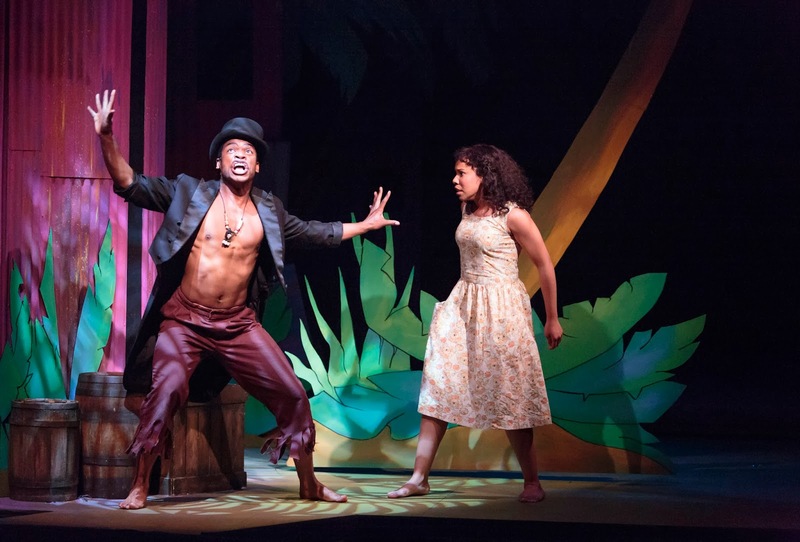 The San Francisco Theater Blog Awards Division awards "Once on This Island" Three Stars. It is worth seeing, especially if you are a die-hard musical lover. The Opening Night audience seemed to love it. We would have loved to have heard those biting lyrics given some meatier, more memorable music. We particularly enjoyed the dance between Death (Max Kumangai) and Love (Adrienne Muller). Strangely, every time Death came on stage (shown below with Salisha Thomas as Ti Moune) the show's energy ramped up a notch. There are a lot of terrific things to say about Kathy Rucker's "Crystal Springs," but perhaps its best characteristic is simplicity. The story is told backwards, in that we see the tragedy as the curtain rises and then slowly move backwards in time so we can understand the events that contributed to it. This reverse chronology actually makes the story stronger as the ending hangs a terrible fate on what would have seemed an innocent beginning. The six-woman cast is on stage at all times, each sitting on a box when a scene does not call for everyone. There are nice bass-heavy musical cues between scenes as director Anna Jordan moves things forward (actually, backward) with ease. 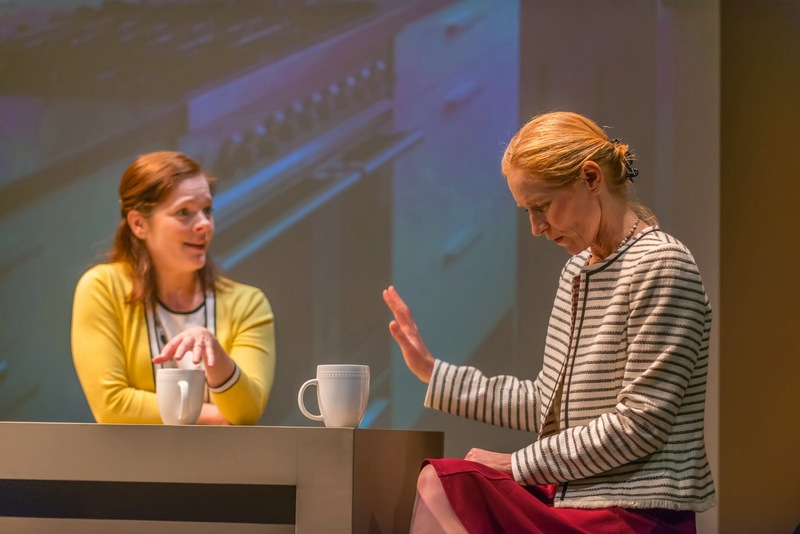 With understated dialogue, we see how the two moms (Sally Clawson as Linda and Amy Prosser as Rose) allow their dislike of each other to poison their daughters' social world. Marissa Keltie plays Haley, the misfit, while Siobhan Fitzgerald plays Jenna, Haley's one-time best friend who allows herself to be sucked into the vicious world of teen-age girls. Keltie and Fitzgerald are both fine actresses (with Keltie recently giving one of last year's best performances in "Terminus" at the Magic), as are Susan Shay as Mia and Heather Robison as Claire. The story will resonate with any parent who has lived inside the emotional tsunami of raising a 21st Century teenage daughter. Rucker gives us an end, middle and beginning, in that order. "Crystal Springs" will stay with you awhile. 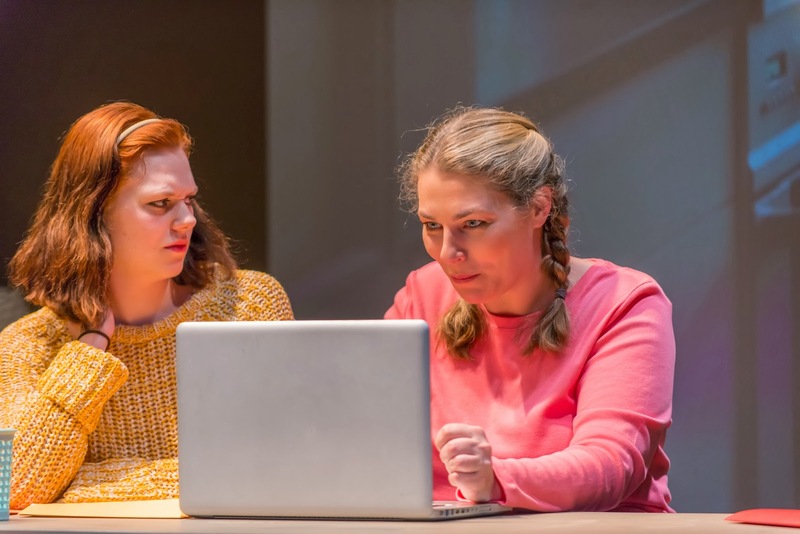 The San Francisco Theater Blog Awards Division awards "Crystal Springs" Three Stars with a BANGLE OF PRAISE. 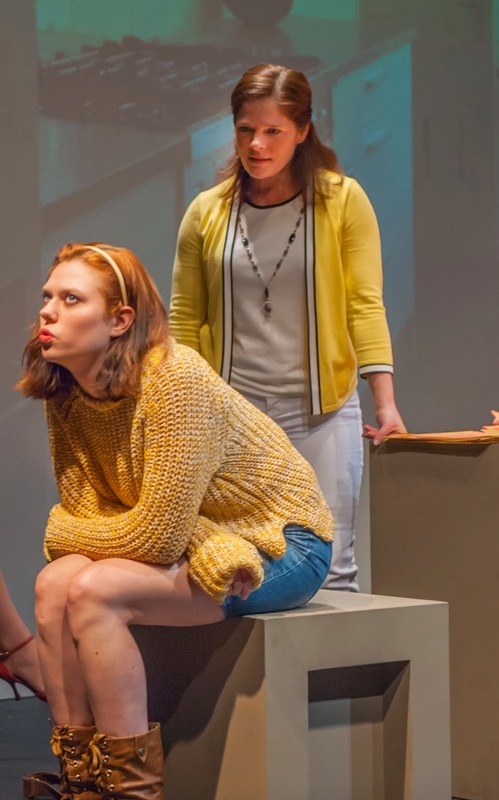 Writing, acting and staging earn one star each and the BANGLE is for producing a play cast for six women, as well as for the playwright giving us dialogue that never feels out of place. This is a fine show. 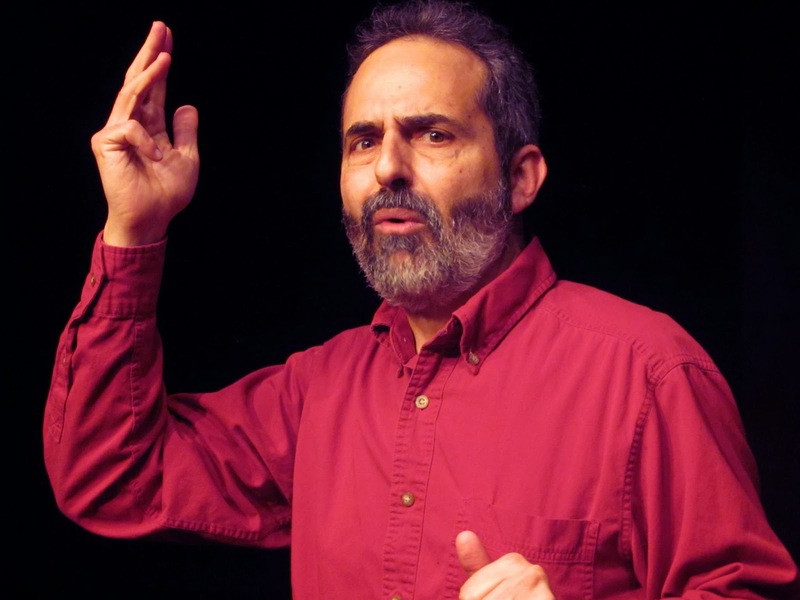 The problem with Charlie Varon's "Feisty Old Jew" is that Bernie Schein, his lead character, isn't very feisty, doesn't seem old, and his only connection with Jewishness is a vague existential angst plus the last names of his and his friends, all residents of a Jewish senior home. 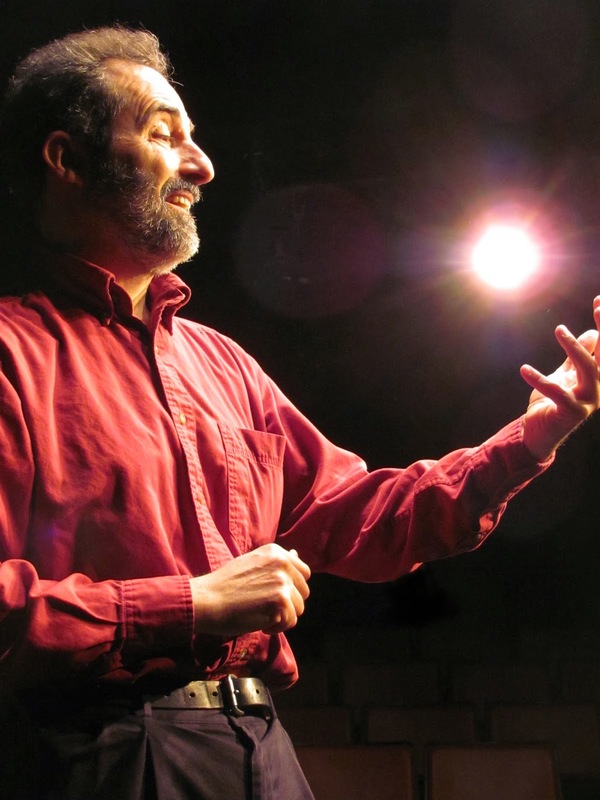 Unlike so many in the newer generation of solo performers, Varon these days seems less a solo performer than a novelist trying out a few new chapters at an Open Mike. 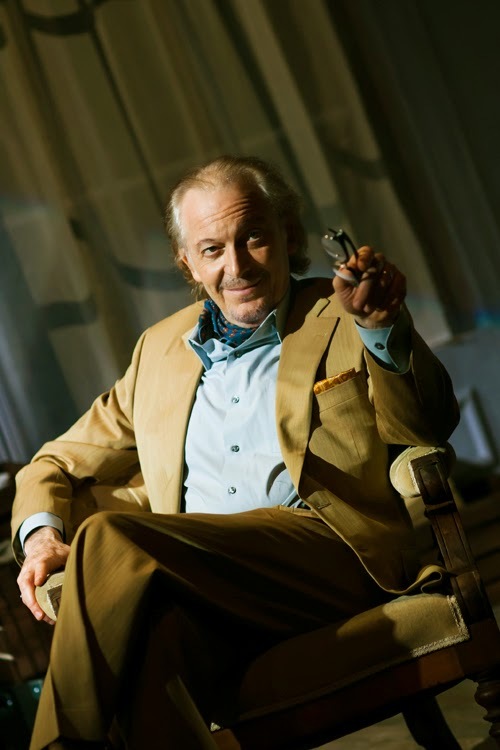 For those of us who were captivated by many of his earlier shows, and at the risk of sounding equally FOJ-ish, "Feisty Old Jew" in its current state of development does not live up to its great title. The basic premise, that while we may age in body we still feel young and brash in our hearts, is a timeless one. 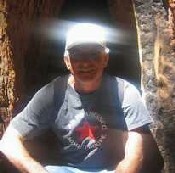 Bernie Schein has always had something to prove and still does. We all know characters like Bernie, old-school guys who live for the discussion, for the argument, who will take any side of any story and become proponent or opponent. Bernie may not know if he actually wins the bet which is the heart of "Feisty Old Jew," but he is disappointed anyway, because he never gets a chance to argue about it. This is an issue filled with promise for a performer. The problem, as we see it, is not Varon's writing nor his characters, but Varon himself. He, the author, is in the middle of every scene, not his characters. Bernie could carry this show, but not as long as the author is there in the car with him, telling us exactly what we are supposed to see. The show is short, only 45 minutes. Perhaps Varon will flesh out his characters as time goes on, adding more dialogue and less explanation. After seeing an excellent short section of "Fish Sisters," also based on a guest at the same senior home, our guess is that Bernie Schein's story will end up as one powerful section of a larger and more ambitious finished project, on which Varon is currently at work. Which is to say, the tsimmis will have more zetz when it acquires more than one ingredient. 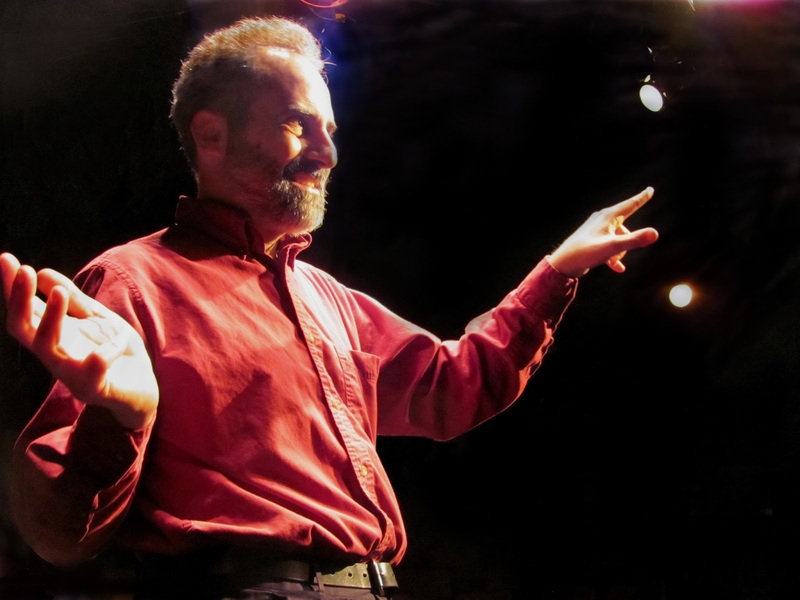 The San Francisco Theater Blog Awards Department awards "Feisty Old Jew" Two Stars. We liked Bernie's ranting. We did not like Varon introducing himself, performing the show, then launching immediately into a half-hearted fund-raiser for the Marsh. We understand about financial pressures, but surely the performer can get off stage and let somebody else do it?